At Fritsch Laitar & Karac we pride ourselves in working closely with our clients and listening carefully to their ideas and goals in order to ensure our advice fits their requirements. A strong commitment to having our staff actively participate in professional development ensures we have the most comprehensive ideas to fulfill client needs. 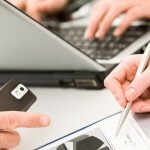 We stand behind our advice and accompany our clients as required to support our recommendations. We continue to work with international companies and assist many of them with establishing subsidiaries in Canada while providing ongoing assurance, tax and advisory services. Through this function we have developed an expertise in local and foreign GAAP and IFRS reporting. Working collaboratively with our clients ensures they achieve their business, financial and personal goals while maintaining our professionalism and independence. We strive to complete our work on time in a cost effective manner and believe in establishing long-term relationships to ensure we achieve the best results. Chris is the managing partner and assurance partner for Fritsch Laitar & Karac. Using his background in public practice as well industry experience, he has been providing clients with valued practical advice on all financial aspects of their business for over 20 years. 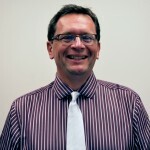 Chris graduated from the University of Waterloo in 1991 with a Masters in Accounting degree and obtained his CA designation in 1994 while working for Ernst and Young as a staff accountant and subsequently audit manager. Prior to joining Fritsch Laitar & Karac, Chris went on to assume a CFO role in an entrepreneurial setting of the healthcare industry. He also serviced clients in many industries while employed with a chartered accounting firm in the Guelph and Fergus area for a number of years. He joined Fritsch Laitar & Karac in 2005, becoming a partner in 2006 and assumed the role of Managing Partner in 2010. Born and raised in Ontario, Chris lives in Fergus with his wife and three children. His time away from the office is spent with his family and he is actively involved in his children’s sporting activities. Ivana specializes in tax planning and compliance and works with private corporations and owner-managed businesses across a wide variety of sectors. She is experienced in dealing with non-resident entities with a Canadian presence and advises foreign entities on Canadian tax and business matters as well as Tax Treaty Interpretations. 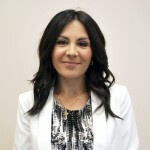 Ivana is passionate about her clients and believes in the importance of understanding the business they operate. Over the years she has formed strong and lasting relationships with clients by providing high quality professional services. She graduated with a BBA from Wilfrid Laurier University. Prior to joining the team in 2010, she obtained her CA designation while working in a mid-size public accounting practice. She has presented on various tax topics to organizations in Kitchener/Waterloo and acts as a mentor for the CPA mentorship program. Ivana is fluent in Serbian and resides in Kitchener with her husband, son and dog. She spends her time away from work with her family and friends, reading and traveling. Georg is the founding partner of Fritsch Laitar & Karac, Chartered Professional Accountants and he supports entrepreneurial clients. He also provides business and taxation advice to our clients in Germany, United States and other international locations. 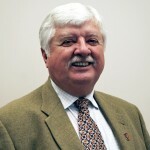 After graduating from Wilfrid Laurier University with a Bachelor of Arts degree, Georg obtained his Chartered Accounting (CA) designation in 1978. Georg continued his career being employed by and ultimately becoming a partner in two national accounting firms. Fluent in German , Georg worked with many German companies with subsidiaries in Canada during this time.